A woman who just simply standing in a busy street unexpectedly gave birth. 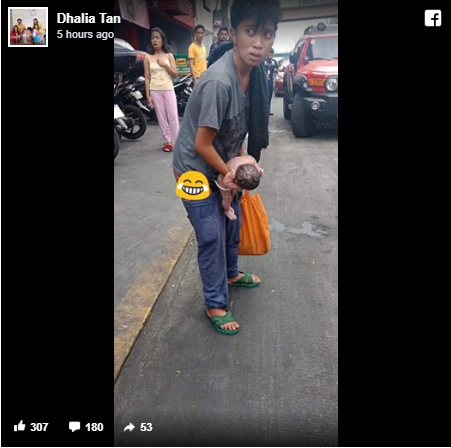 The photo that was shared by Dhalia Tan in her Facebook account shows a woman holding a baby with umbilical cord attached to each other. Bystander quickly gave assistance to a woman in jeans to reach the hospital. Tan accompanied her to the hospital and Tan later announced in her Facebook account that the baby and the mother are safe. 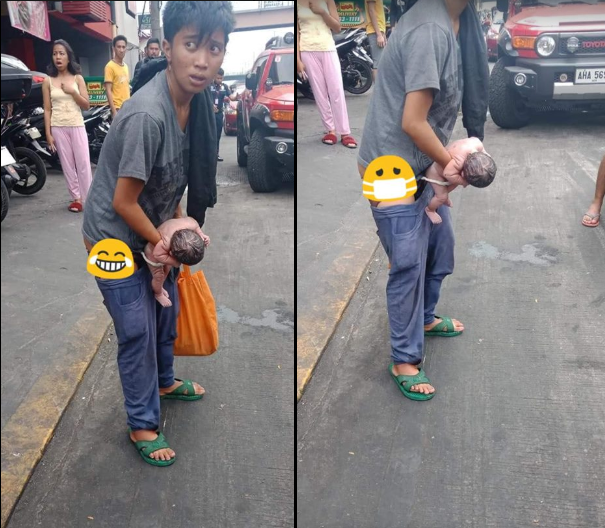 "Bka po may nkakakilala sa babaeng ito tinulongan kopo cya nangankpo cya sa kalsada dto sa my 7/11 sa may monomento dnila kopo cya sa mcu huspital sa awa po jos ligtas ang bata... Salamat din po sa mga doktor na tumolong salamt god at may buhay ako nailigtas," wrote Tan in a post. Tan hoped that the parents or relatives of the lady would see her post.